When a mother of three's babysitter called two hours before a required work function to cancel watching the kids, the surprising reaction was "oh well." Within 20 minutes, the youngsters were happily bundled up in the car and taken to a drop-in childcare, where they were entertained, fed, and kept generally happy. So happy, in fact, that they didn't want to go home when picked up that evening. As more and more time-harried families or single parents crave adult time or face a lack of available quality and/or reliable babysitters, a new option seems to be gaining in popularity across the country. Welcome to drop-in childcare. Drop-in care centers provide convenience and fun, so much so that many children consider it a "kids night out" and clamor to go. Participants get to party at sock hops, safaris, rockfests, talent shows, luaus, and even diva parties while their parents utilize adult-time. Drop-in care covers adults for "date nights," errands, attendance at weddings or adult-only functions, or business events. Single parents have also found the service attractive. Drop-in child care centers are typically run very similar to traditional daycare, with a few exceptions. In most facilities, staff receives the same type of training as daycare employees. In fact, many workers at daycare centers work part-time at drop-in centers for extra cash. Be sure to check for credentials. The centers should be licensed and operate under the same regulations that apply to daycare facilities in your state. Staff should be first-aid and CPR trained, have early childhood training, and have experience working with kids. Most centers also conduct criminal background checks on employees but ask to be sure. Typically, drop-in care facilities are open to 9 or 10 p.m. on weekdays and to 11 p.m. or midnight on weekends. Some are open on Sundays; others are not. Later hours are available for special occasions, such as New Year's Eve. While "drop-in" means just that, parents who really "must" have childcare should call and make reservations for their child. Because child-staff ratios must be maintained, a center can become full and no more kids can be admitted. Most drop-in facilities also require reservations for small infants for staffing purposes, so the best advice is to check with the facility first to find out their process. Surprisingly, most drop-in care options charge about the same rate adult babysitters are paid for watching more than one child during the evening or weekend hours. While the rate may be slightly higher if parents only have one child, families with multiple kids say it is often cheaper in the long run, once home meals and snacks are factored in. 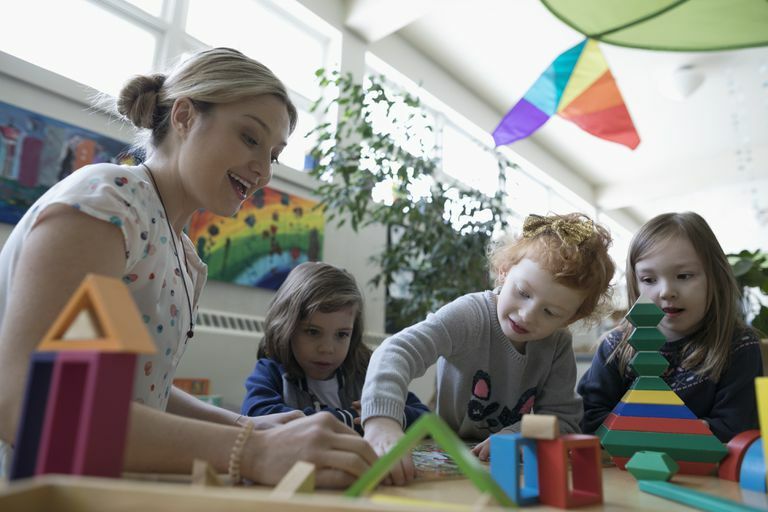 Costs for childcare typically range from $7 to $10 an hour, depending on a child's age, although different parts of the country may charge more or less depending on supply and demand and typical costs there. Often, there is a one-time or annual registration fee, which can vary from $10 to $50. The hourly cost for Monday-Friday during typical work hours is usually more than the weekly rate a daycare charges; however, that is not the clientele these centers seek. Instead, they market to parents who need occasional, part-time or weekend childcare vs. the traditional full-time care options offered by in-home providers or daycare centers. Some facilities even tout themselves as an "alternative daycare." Many parents are more comfortable with using drop-in care than they are with employing teenage babysitters or someone who is not a member of the family. Others like the interaction kids will get with other children of similar age, structured activities, and the convenience of having a meal served. Some parents, however, prefer the notion of having their kids at home and asleep at their regular bedtime, so the structure of a routine is not disrupted. (That is, if the sitter can keep that routine in place when mom and dad are gone!) For parents who may have had to drive a sitter home after they return home, a stop to collect kids from drop-in care after an evening out doesn't present an inconvenience. For those who employ sitters of driving age, however, that could be a consideration. Many families do like knowing that the kids won't be going wild in the home, eating chips on the couch, and watching TV all night and that instead they will play outside or create an art project. The security of always knowing the center is available brings parents the greatest peace of mind. If your area has a drop-in care center you are considering, child care experts recommend that parents introduce a child to the facility with a brief initial visit. Don't wait for a last-minute need and then attempt to register, complete all forms, and push your kids into a new place. Chances are, after the first time, youngsters and parents alike will be eager for a return visit.